FACT: Most commercial car park operators think that because they have concrete kerbs in their carparks they do not need wheel stops. 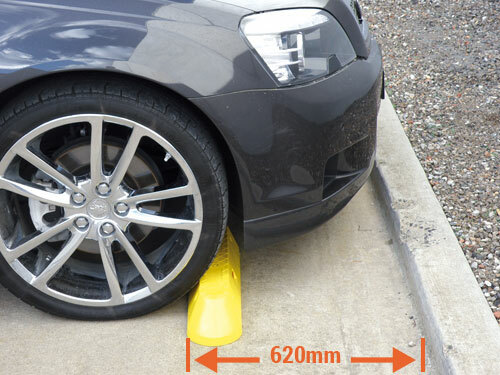 In fact, where the kerb is greater than 100mm in height, wheel stops are required to prevent the front skirts of legal height vehicles being damaged on these kerbs. 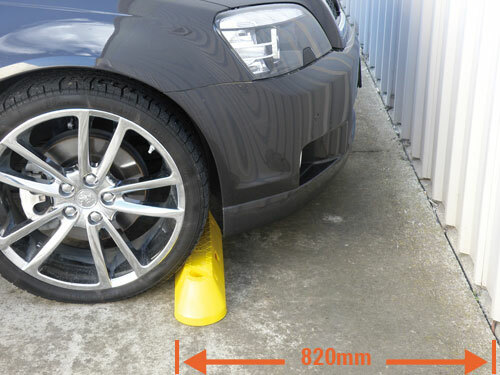 Likewise concrete wheel stops greater than 100mm in height should never be used. The Australia Standard AS2890.1:2004 clearly specifies the physical dimensions for wheel stops as having a height between 90 and 100mm and a width of 1650 +/- 50mm. Front into a low kerb. Rear into a low kerb or wall. Front into a high kerb. Rear into a high kerb or wall. Wheel stops may be provided where it is considered necessary to limit the travel of a vehicle into a parking space. Controlling the kerb overhang where inconvenient or hazardous to pedestrians. Inhibiting contact with an end barrier or high kerb. Inhibiting encroachment into an opposing parking space. Wheel stops should be avoided in any situations where they may be in the path of pedestrians moving to or from parked vehicles, or crossing a car park for any other purpose. Wheel stops shall be between 90 and 100mm in height, and 1650 + 50mm in width. 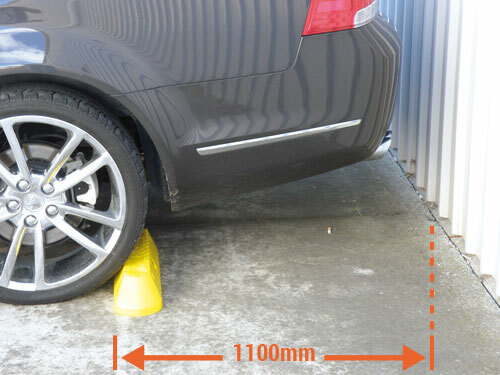 Wheel stop distances shown are for 100mm high wheel stops and measured from the front of the parking space to the point of contact with the vehicle tyre. 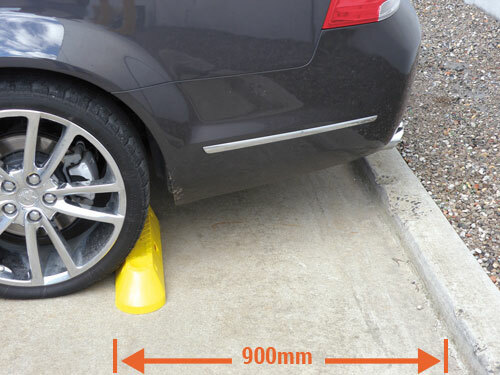 If wheel stops are provided to restrain vehicle contact with a kerb higher than 150mm or a wall, a further 200mm shall be added to the wheel stop distance. The maximum height of wheel stops under AS2890.1:2004 is 100mm. Most concrete wheel stops do not comply with the standard as they exceed the maximum height.